The 1950s is a vanished world, but have we made social progress? Britain has seen huge social changes over the course of my lifetime. The world of the 1950s, when I grew up in a modest suburb of Liverpool, has vanished forever. The material standard of living we enjoyed then would nowadays seem to be distinctly substandard. We didn’t have a family car; I shared a bedroom with my older brother; and there was no television set, though we did have a telephone – a rather unfamiliar contraption which we were all too scared to use. There never seemed to be quite enough to eat and we were all rather skinny. There was no problem of obesity in our family, but we didn’t grow particularly tall. Today’s younger generation tower over us. However, we did go to church every Sunday (reluctantly it must be admitted) and belonged to the Boy Scouts (less reluctantly). And this was the era of the tripartite system – grammar schools, technical schools, and the secondary moderns. We never met anyone from one of the other types of school. We never really met anyone who wasn’t white, British, Protestant, and lower middle class. We were very proud to be British. We were thrilled when it was an Englishman, Roger Bannister, who beat the Australians and the Swedes to run the first four-minute mile. It is a vanished world – and not one to which I personally look back with any great nostalgia. I think my grandchildren have a much nicer time growing up today. But many people do seem to look back on the 1950s as a golden age of stability and national cohesion, and perhaps it was an age which did have some strength that we have now lost. In 1942 (which happens to be the year I was born), William Beveridge published his report in which he wrote: “Social insurance…fully developed may provide income security. It is an attack upon Want. But Want is only one of five giants on the road of reconstruction and in some ways the easiest to attack. The others are Disease, Ignorance, Squalor and Idleness.” Modern forms of Beveridge’s five giants remain high on the list of government priorities – in 2015 none of the main party manifestos missed out economic growth, improved education, an effective health service, reduced levels of unemployment, and more home building to meet the housing shortage. Have we been running fast but not moving forward, as if on a treadmill in the gym? We should always be a bit sceptical of commentators when they allege that things are not what they were. Your scepticism should certainly be extended to my own personal impressions of how pride in Britain has declined since I was growing up. One of my favourite sayings (attributed to the American statistician and management consultant J. Edwards Deming) is “In God we trust, all others must bring data.” In my new book, Social Progress in Britain, we have attempted to bring data to bear on measuring progress in Britain over the last half century (though the data are often woefully lacking). In many ways the data confirmed my expectations. There are the changes that most people would consider to be a force for good: for example, in the decades since the post-war years we have got richer, and not just those at the top, those at the bottom have got modestly richer too. We live longer and infant mortality rates are massively improved. We’re more educated, at least in terms of the numbers of young people leaving school with qualifications and going to university. And then there are the areas in which progress has stalled or where new issues have arisen: housing is one such area. We haven’t made much progress here in recent decades, and the parallel crises of homelessness and housing unaffordability are unlikely to be easily solved. But there were also surprises in our findings: I had fully expected British pride and other aspects of social cohesion to be in decline, but this does not appear to be the case. It was surprising to learn that, in terms of differences in outlook between different sectors of society, we were a divided nation already back in the 1950s. We also needed to ask whether the trend towards increasing economic inequality is paralleled in the other domains of life. The evidence on balance indicates that, in the twenty-first century, life has been getting worse not better for some groups. The evidence is not as robust as one would wish, but we need to take very seriously the likelihood that poverty and food insecurity, overcrowding and homelessness, obesity, and youth unemployment have been deteriorating, and will continue to deteriorate. 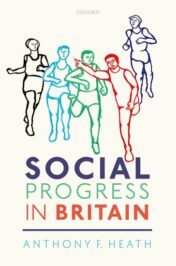 This blog post is derived from excerpts from Anthony Heath’s new book Social Progress in Britain, which was released on the 27th September 2018. The book can be ordered here. Anthony F. Heath is the Director of the Centre for Social Investigation, Nuffield College, University of Oxford.